NEW DELHI: France aims to enhance cooperation with India in the Indian Ocean Region (IOR) and the issue will figure prominently in the upcoming high-level talks between the two sides, the French envoy said in Delhi on Wednesday. Alexandre Ziegler's comment comes against the backdrop of a quadrilateral meeting of officials from India, the US, Japan and Australia+ on the sidelines of the India-ASEAN Summit in Manila. The meeting assumes significance as it is seen as an attempt to counter China's growing dominance in the region. 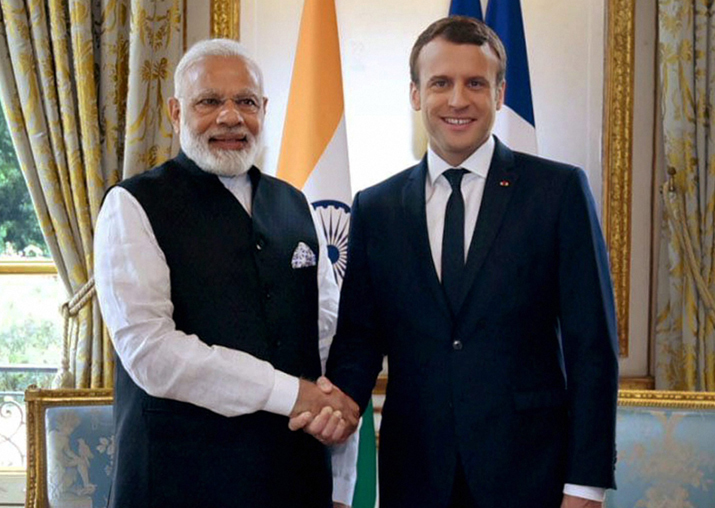 The issue will also figure during the french minister's tour of Europe and foreign affairs minister Jean-Yves Le Drian's engagements during his upcoming visit to India as well as President Emmanuel Macron's trip in early 2018, the envoy said. Zieglar said issues that form the major framework of the strategic partnership between the two countries, including "growing cooperation" in the IOR, defence and space will be addressed during the talks. Briefing reporters on the French foreign minister's visit, the ambassador said he will also travel to Jaipur on Saturday where he will inaugurate a four-month-long mega 'Bonjour India' festival which will have performances, debates, seminars and exhibitions. Separately queried about the recently-held quadrilateral meeting, French diplomatic sources said while France was not averse to joining the multilateral fora, it wants to ramp up bilateral cooperation in this sphere. "We have specific interests in the region and naval bases in one of the islands. So there is scope for greater cooperation in the region. But we are also open to multilateral cooperation," a source said. France has around 10 islands in the region with Reunion being the biggest one with a population of over one million. It has military bases in Reunion as well as Djibouti, which borders the Indian Ocean. The move to set up the quadrilateral comes in the backdrop of growing Chinese assertiveness in the South China Sea. The use of the term "Indo-Pacific" by US President Donald Trump has led to speculation that Washington may be preparing the ground for a revival of the quadrilateral alliance between the US, Japan, Australia and India to counter China's rise.